A Visual Novel / Text game toolkit. 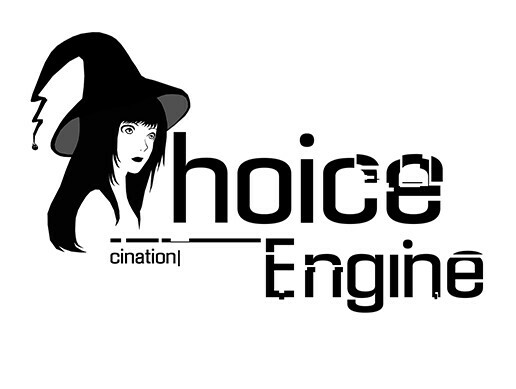 ChoiceEngine is designed to work as the foundation of any text based game, making all the necessary features available in just a few clicks. - Node based architecture that allows for any conversation to be structure and modified at any time with little to no effort. - Every "node" can be customized in terms of sprites, characters, background, sounds, music, random events and response type. - Image customization system which allows complete freedom in the creation of any character, background etc. - Saving and loading system. - Affection / Amity system. - Custom sprite spawn points. - Export and import of data (text,int,string and bool options) into/from files (XML). - Import of data from text files (text import only, separated by blank lines). - Unlock and view CG. - Text animation and timing. - Auto, skip and auto save/load functions. - Inventory system supporting categories, item inspection and progression determined by possession of specified items. - Sprite animation (loop and play once). - Level loading on nodes (including passing data across levels). - Requesting and displaying player's name (both as a label and in any text field by using a "[name]" tag). - Prefabs models can be used instead of (or alongside with) character sprites. This feature also enables the usage of certain Live2D models. - Choice countdown timer (player can be limited in time when making a choice). - Custom variables / variable checks, allowing flexible storytelling. - Custom functions can be invoked on each node. - Multi-langauge support for nodes, choices, names, and descriptions. The toolkit itself is fully expandable and allows easy addition / customization of any features.